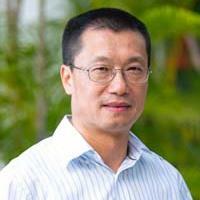 Prof Jia is IEEE Fellow (Computer Society). He received his BSc (1984) and Meng (1987) from University of Science and Technology of China, and his DSc (1991) from Tokyo University. His research interests include wireless networking, sensor networks, distributed systems and Cloud computing, Internet and web technologies. He is on the editorial board of IEEE Trans. On Parallel and Distributed Systems (2006-2009), Wireless Networks, Journal of World Wide Web, Journal of Combinatorial Optimization, etc. He is the General Chair of ACM MobiHoc 2008, TPC Co-Chair of IEEE MASS 2009, International Vice-Chair of INFOCOM 2005, TPC Area-Chair of INFOCOM 2010 and TPC Co-Chair of GLOBECOM 2010 - Ad-hoc and Sensor Networking Symposium. Algorithmatic Issues of Using Compressive Sensing in Wireless Sensor Networks, NSF China, Jan 2012 - Dec 2015. Minimal Cost Deployment of Multi-radio and Multi-rate Wireless Mesh Networks with QoS Requirements in Indoor Environment, HK RGC, Jan 11 - Dec 13. Low Latency Data Dissemination, Aggregation and Collection in Multi-Radio and Multi-Channel Wireless Sensor Networks, NSF China, Jan 2010 - Dec 2012. Max-Lifetime Sleep Scheduling for Surveillance Applications of Wireless Sensor Networks, HK RGC, Jan 08 - Dec 10. Minimum Latency Communication Schedules for Information Dissemination and Aggregation in Wireless Ad Hoc and Sensor Networks, HK RGC, Jan 07 - Dec 09. Energy Efficient Query Dissemination and Real-time Data Aggregation in Wireless Sensor Networks, HK RGC, Jan 06 - Dec 07. Virtual Backbone Construction in Multihop Ad Hoc Wireless Networks, HK RGC, Jan 05 - Dec 06. Jun Zhang, Xiaohua Jia, Yuan Zhou, "Analysis of Capacity Improvement by Directional Antennas in Wireless Sensor Networks", to appear in ACM Trans. on Sensor Networks, 2011. PengJun Wan, Ophir Frieder, Xiaohua Jia, Frances Yao, Xiaohua Xu, Shaojie Tang, "Wireless Link Scheduling under Physical Interference Model", IEEE INFOCOM 2011. Haiyan Cai, Xiaohua Jia, Mo Sha, "Critical Sensor Density for Partial Connectivity in Large Area Wireless Sensor Networks" , ACM Trans. on Sensor Networks, vol 7, iss 4, Feb. 2011. Jun Zhang, Xiaohua Jia, Guoliang Xing, "Real-Time Data Aggregation in Contention-based Wireless Sensor Networks", ACM Trans. on Sensor Networks, vol 7, iss 1, Aug 2010, pp. 25 pages. Guoliang Xing, Rui Tan, Benyuan Liu, Jianping Wang, Xiaohua Jia, Chih-Wei Yi, "Data fusion improves the coverage of wireless sensor networks", ACM MOBICOM 2009, pp.157-168. Guoliang Xing, Minming Li, Hongbo Lou, Xiaohua Jia, "Dynamic Multi-resolution Data Dissemination in Wireless Sensor Networks", IEEE Trans. on Mobile Computing, Sep. 2009, pp.1205 - 1220. Peng-Jun Wan, Xiaohua Xu, Xiaohua Jia, and E.K. Park, "Minimum-Latency Beaconing Schedule in Multihop Wireless Networks", IEEE INFOCOM'09, Rio, Apr 2009. Jun Zhang and Xiaohua Jia, "Capacity analysis of wireless mesh networks with omni or directional antennas", IEEE INFOCOM'09 (mini-conference), Rio, Apr 2009. Scott C.-H. Huang, Peng-Jun Wan, Xiaohua Jia, Hongwei Du, "Minimum-Latency Broadcast Scheduling in Wireless Ad Hoc Networks", IEEE INFOCOM'07, Anchorage, USA, May 2007. Hai Liu, Xiaohua Jia, Pengjun Wan, Xinxin Liu, and Frances Yao, "A Distributed and Efficient Flooding Scheme Using 1-hop Information in Mobile Ad Hoc Networks," IEEE Trans on Parallel and Distributed Systems, Vol. 18, No. 5, May 2007. J. Fan, X. Jia, and X. Lin, "Optimal Embeddings of Paths with Various Lengths in Twisted Cubes", IEEE Trans on Parallel and Distributed Systems, Vol. 18, No. 4, Apr 2007. Hai Liu, Xiaohua Jia, Pengjun Wan, Chihwei Yi, Sam Makki, and Niki Pissinou, "Maximizing Lifetime of Sensor Surveillance Systems", IEEE/ACM Transactions on Networking, Vol. 15, No. 2, Apr 2007. H. Liu, P. Wan, X. Jia, "Maximal Lifetime Scheduling for Sensor Surveillance Systems with K Sensors to 1 Target" , IEEE Trans on Parallel and Distributed Systems, Vol. 17, No. 12, Dec 2006, pp.1526-1536. H. Liu, P. Wan, X. Jia, X. Liu, and F. Yao, "Efficient Flooding Scheme Based on 1-hop Information in Mobile Ad Hoc Networks" , IEEE INFOCOM'06, Barcerola, Apr 2006. J. Fan, X. Lin, and X. Jia, "Optimal Path Embedding in Crossed Cubes" IEEE Trans on Parallel and Distributed Systems, Vol. 16, No. 12, Dec 2005, pp.1190-1200. Xiaohua Jia, Deying Li, H. Du, and J. Cao, "On optimal replication of data object at hierarchical and transparent web proxies" , IEEE Trans on Parallel and Distributed Systems, Vol. 16, No. 8, Aug 2005, pp.673-685. Xiaohua Jia, Dongsoo Kim, Sam Makki, Pengjun Wan, and Chihwei Yi, "Power assignment for k-connectivity in wireless ad hoc networks" , IEEE INFOCOM'05, Miami, Mar 2005. Xiaohua Jia, Deying Li, and D. Du, "QoS topology control in ad hoc wireless networks" , IEEE INFOCOM'04, Hong Kong, Mar 2004. Deying Li, Xiaohua Jia, and H. Liu, "Energy efficient broadcast routing in ad hoc wireless networks" , IEEE Trans on Mobile Computing, Vol.3, No.2, Apr-Jun 2004. C.Sun, Xiaohua Jia, Y.Zhang, Y.Yang and D.Chen, "Achieiving convergence, causality-preservation, and intention-preservation in real-time cooperative editing systems," , ACM Trans on Computer-Human Interactions, Vol.5, No.1, Mar 1998, pp63-108.